I wasn't really using a system before apart from Square and Paypal. These system services did not, of course, meet my bottom line and need. There were no options to be creative. Honestly, I did not have a chance to consider anayone, as I found SalesVu rather quickly int he beginning process, and immediately made contact, as I knew it represented exactly what I needed. Restaurant point of sale systems helps to enable transactions and operations features that improve customer experience and able to optimize the business operations. What Is The Difference between Traditional POS & Modern POS? Traditionally the restaurant POS system is where a customer makes a payment in exchange for goods or services. To perform this transaction, payment terminals, touch screens and a wide variety of hardware and software options are used. Nowadays, however, the restaurant's point of sale is often referred to as the restaurant's service point, as it no longer deals with sales alone. Modern POS systems for restaurants provide a platform ans it is the backbone for smaller and larger scale food and beverage operations and helps to improve customer experience and business operations. How Do POS Work for Restaurant Businesses? POS systems of any restaurant allow food and beverage operators to process orders and maintain financial control of the company. through cash management and integration with payment service providers. In a context where margins are becoming fairer in this sector, hospitality companies must have a POS for restaurants. Current POS solutions for restaurants also offer: 1. Reports and statistics 2. Inventory management 3. Personnel management 4. Loyalty and gifts. 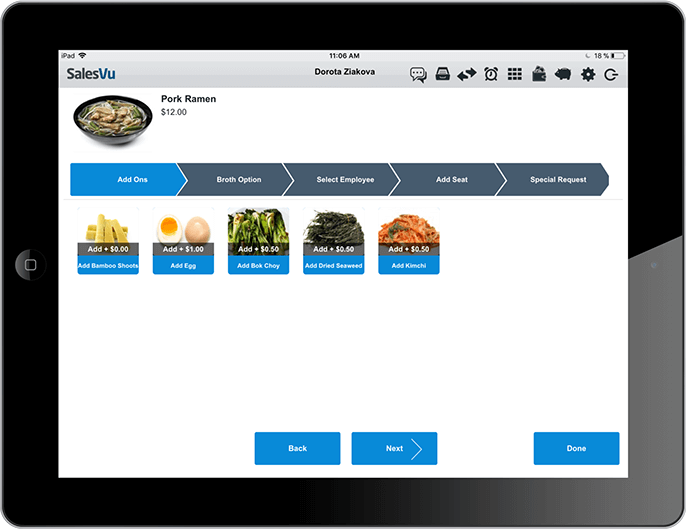 The choice of the POS system for restaurants is a fundamental thing for the proper functioning of your restaurant. It is worth what exactly you know that what you need and what you do not need. Until recently POS systems for restaurants were managed locally. Local solutions require a significant upfront investment needed expensive computer servers to run the system as well as maintenance which can also take a part of the budget. Resources are required to manage software updates, enhancements, and security patches for the POS, which must be scheduled for installation and must be manually installed. What Is The Benefits of Restaurant POS? The speed of Innovation:With a cloud POS for restaurants new stores will be available on the Internet much faster. Each new release includes new option that will help you deliver great customer experiences, improve operational efficiency, and increase staff productivity. Lower IT costs and complexity: With a cloud POS for restaurants you can reduce initial capital spending on software and hardware. In addition updates, enhancements, and patches run automatically that reducing IT costs and complexity. Deliver unparalleled customer experiences: With a cloud POS for restaurants you can implement innovative interaction, rewards, and recognition strategies and can deliver customer experiences that achieve brand loyalty. Increased security: With SalesVu Cloud Restaurant POS system you can access all the dollars in security software and hardware helping you protect your customers.